← How Did This Get in Here? This week, as my contribution to In a Vase on Monday, I would like to place a spotlight on the Montauk daisies (Nipponanthemum nipponicum) which are now blooming in my sunny side garden. These fall blooming daisies add a welcome bit of brilliant white to a garden that is beginning to fade into autumn. I first “discovered” the Montauk daisy for my Chapel Hill garden over ten years ago and was pleased to find it here when we moved to the Charlotte area. 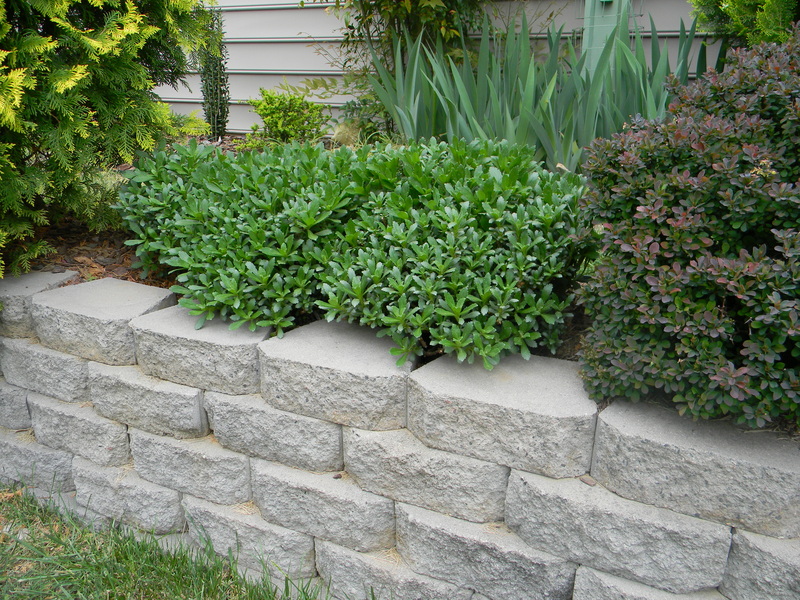 Three of them, planted closely together, give the appearance of a compact hedge in my side garden over the summer. I learned that I should cut them back in June or July (much like we are told to do for mums). Without the trimming, they grew tall and, when they bloomed, a heavy rain knocked over most of the flower stalks. My Arranger suggested that I might just need a bit more color in the offering, so we selected blossoms from a Knock Out rose (Rosa x ‘Radcon’), annual vinca, and a repeat blooming garden phlox. The sprigs of greenery are from a ‘Green Giant’ arborvitae. The vase and heart, a Christmas gift to my Arranger, are both Waterford crystal. 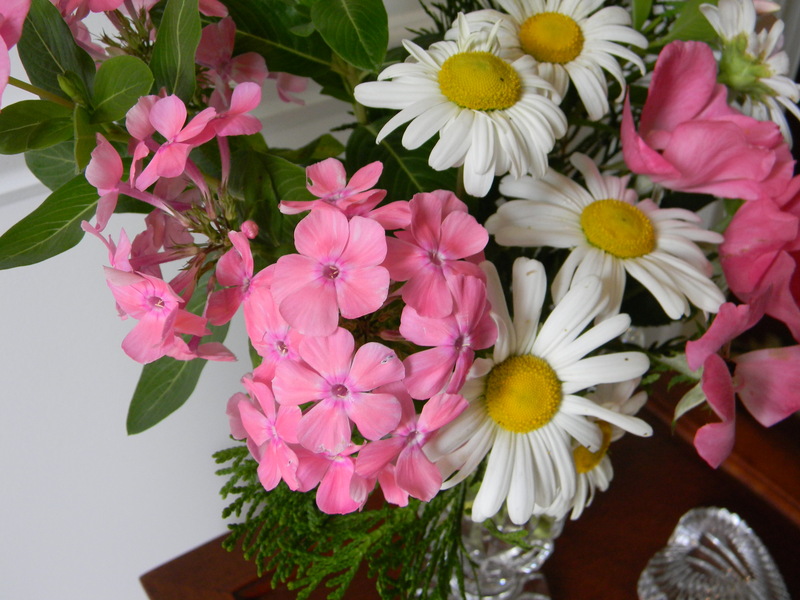 I purchased the pink phlox in Virginia over twenty years ago. Its name has long since been forgotten. This phlox has thrived in three gardens and made at least nine moves; it has been divided, shared with friends, and moved about my gardens where a touch of pink is desired. I deadhead it to encourage new growth and flowering. It has done so reliably, giving me up to four months of this lovely pink color year after year. 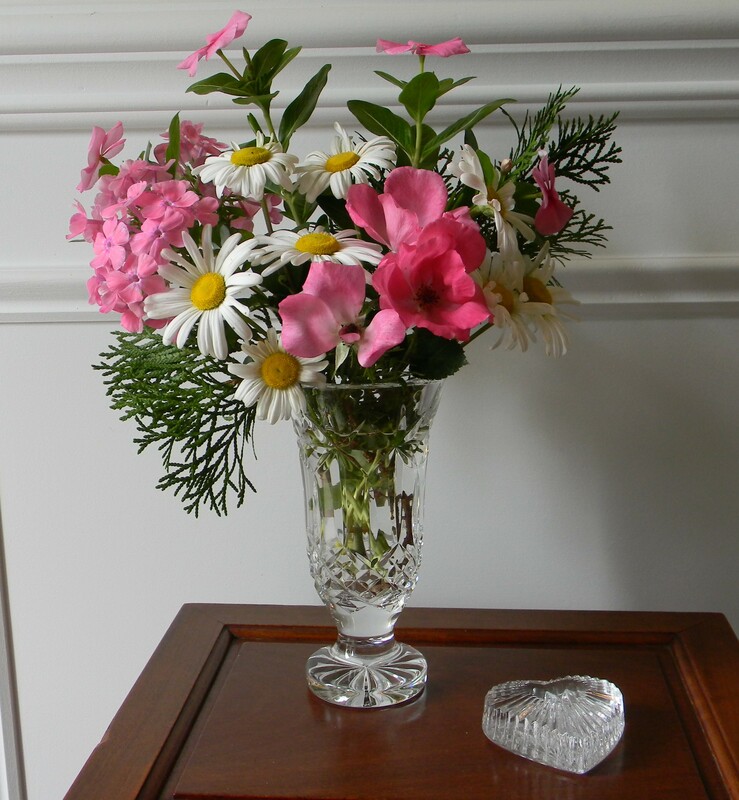 This entry was posted in Gardening, In a Vase on Monday and tagged arborvitae, Cathy, Chapel Hill, garden phlox, Green Giant arborvitae, In a Vase on Monday, Knock Out rose, Montauk, Montauk daisy, Nipponanthemum nipponicum, Rosa x Radcon, Vase, Waterford crystal. Bookmark the permalink. 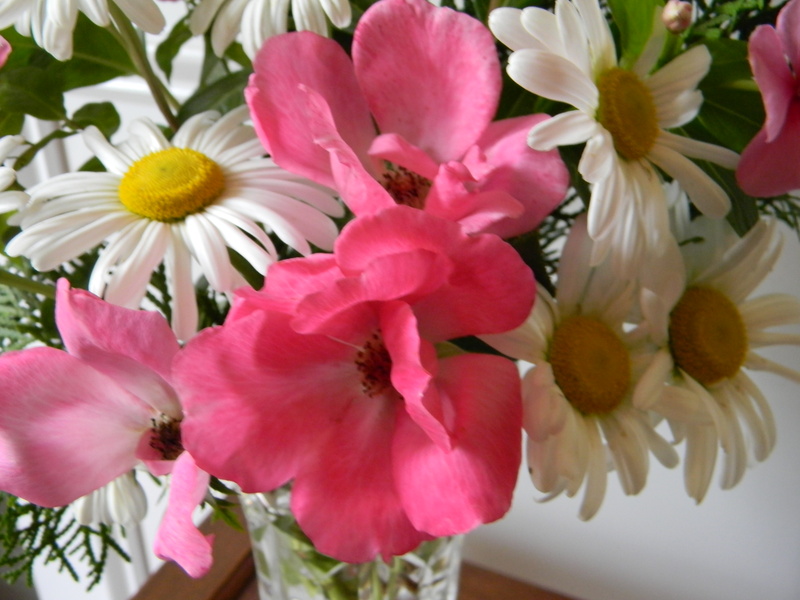 A light-hearted arrangement for a dreary day…perhaps I should print a copy for my desk! Thanks, Marian. It’s gray here too. I like your choice of Nipponanthemum nipponicum, what a great looking daisy. Tell the arranger that her vase today is lovely. Christina, my arranger says thank you. Thanks again, Cathy, for starting this meme. It is delightful and informative to see what others are doing. Your vase looks almost spring-like John. That pink phlox is so fresh and pretty. The Montauk daisy is attractive. Do they spread or stay in those nice clumps? The clumps do get larger but so far (eight years) have not spread. Thanks, Susie. Very charming vase, John, and it’s the first time I meet a Montauk daisy. Very nice indeed! Thanks, Annette. They bloom at a nice time of the year. Very pretty. It looks like a Shasta daisy. Is it a new name for Leucanthemum? I can’ t keep up. Maybe it is something quite different? Thanks, Chloris. As far as I know the name is unique to Montauk daisies. They bloom so much later than Shasta daisies.